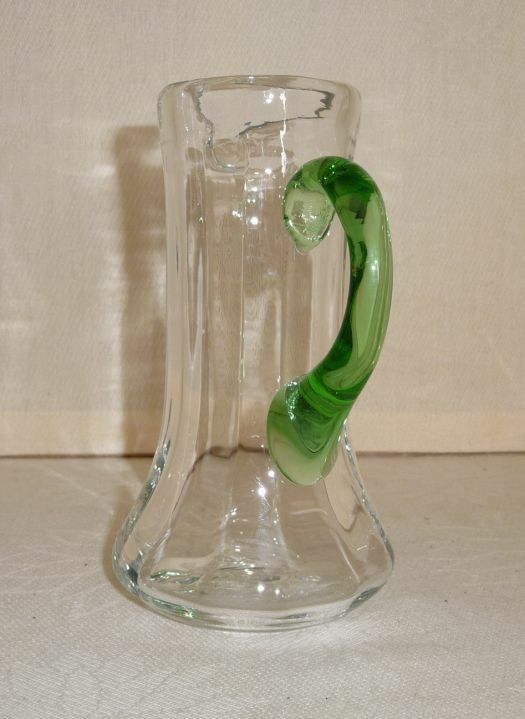 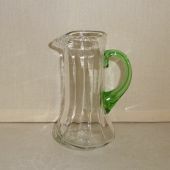 This is a pretty glass pitcher with a nice green handle. 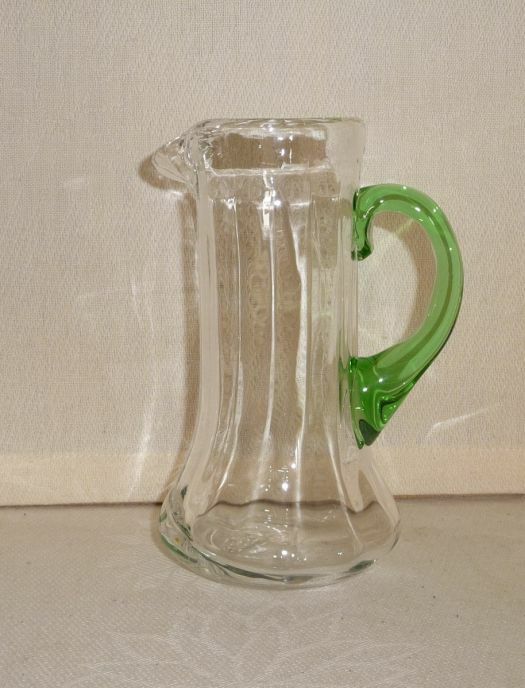 I don't know if it is old or not, but it is in good condition and will be pleasant on a table. 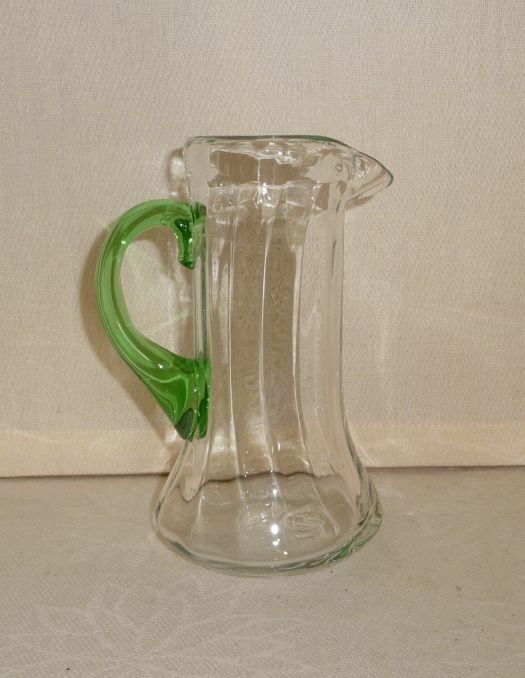 Height 14,5 cm ; contains 25 cl.